What a summer! 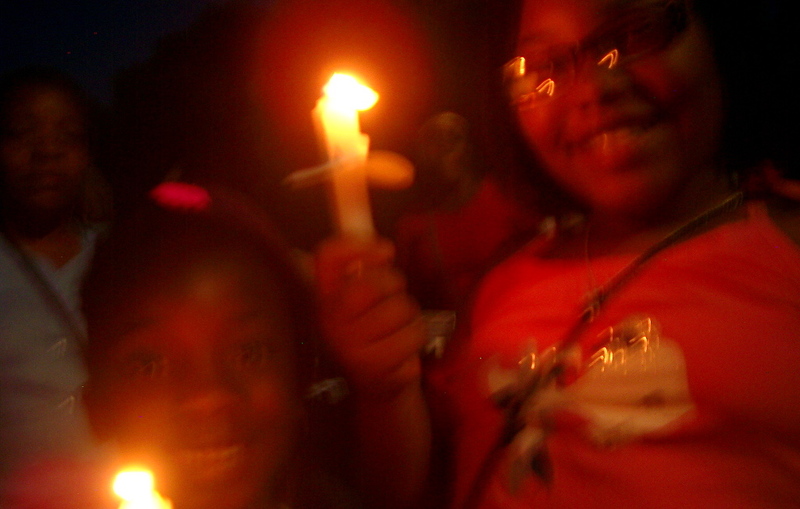 From Ferguson to the border, from Congress testimony to White House vigils, kids took a stand. Working in ERs, on pediatrics, on trauma units, as a nurse I’ve patched up so many kids who have been shot. In fact, it’s one of the main reasons I want to teach kids about their rights, and how to stand up for them. Here’s to kids who live in danger, and to kids who stand up them, and for safety and justice. It was fun to tell the Tinker story, and hear how the students are putting democracy into action. Sabareesh started a group called Operation Child Labor Out Now! He reminded us that “there’s still slavery in the world.” Brice, already knew that. 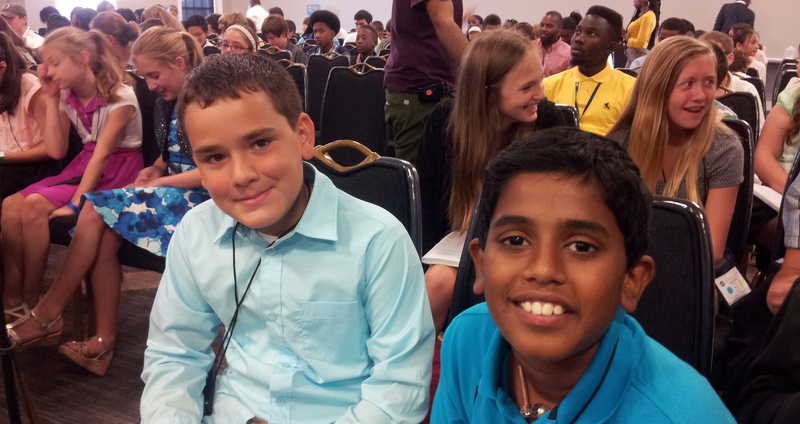 His church, Life Church, helps kids who have been trafficked. Truth is standing up for his Indian tribe, the Gros Venture tribe. Keilani stands up for animal rights and against hormones in food. She gave me her lucky quarter, saying, “You need it.” Thanks, Keilani, and all the JNYLC leaders who are standing up and speaking up! 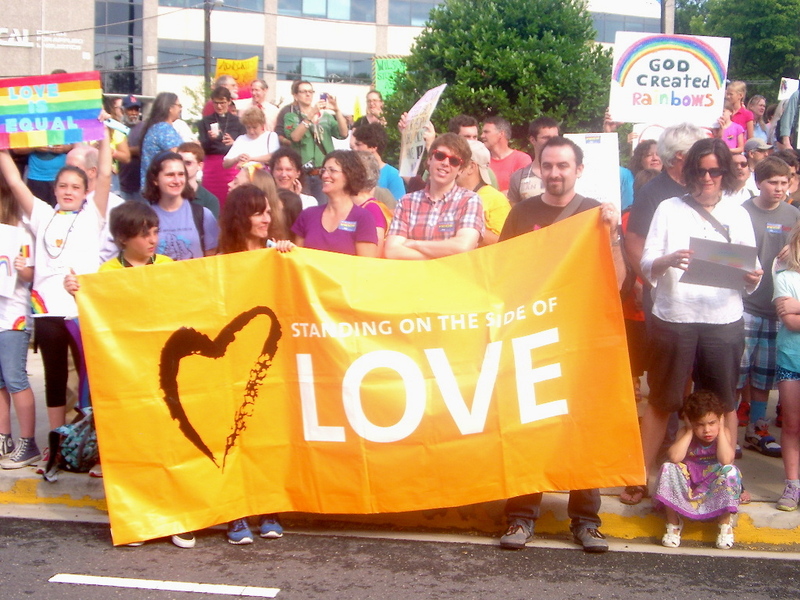 In June, students at Wilson HS in Washington DC stood up to the Westboro Baptist Church, who came to their school. The students were supporting not only their students, but their principal, Peter Cahall, who told them he’s gay, too. But, as I told the JNYLC kids, if you don’t support gay rights, you have a right to say that, too. Thanks, 1st Amendment! Immigrant kids were standing up, too, this summer. 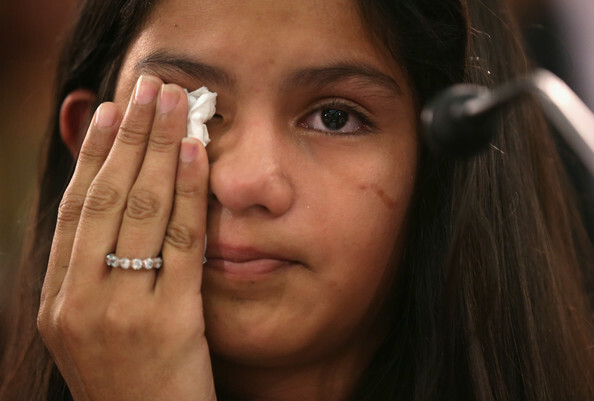 Some, like Mayeli Hernandez, 12 years old, Dulce Medina, 15, and Saul Martinez, 15, testified at a Congressional panel. Mayeli, who has found safety in NY, said that in Honduras she had been scared that she would be killed like the two men she saw killed there. She pleaded, “Please help protect children like me and my little sister. We can’t go back to our countries.” You’re brave, Mayeli, and you speak for many others!